I'm Here. I'm Queer. What the Hell do I read? 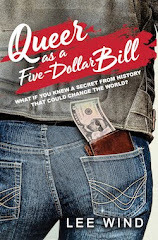 : "Queer as a Five-Dollar Bill" is featured in Publishers Weekly! 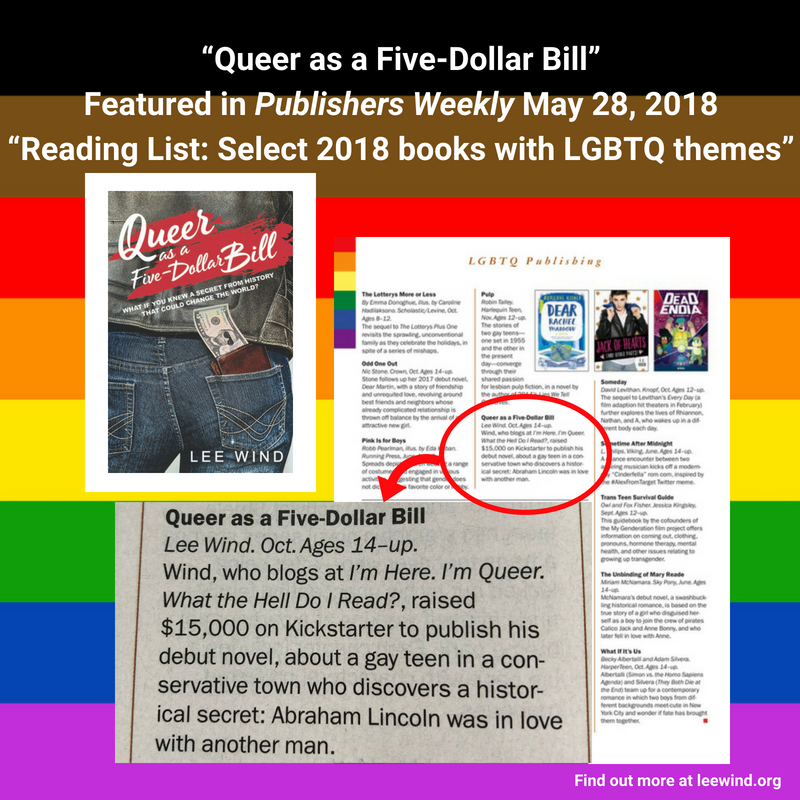 "Queer as a Five-Dollar Bill" is featured in Publishers Weekly! 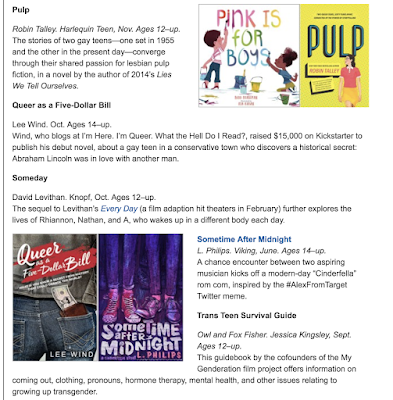 I'm thrilled to share that in the May 28, 2018 edition of Publishers Weekly, in an editorial feature on LGBTQ Publishing, twelve teen titles releasing in 2018 were featured, including my debut YA novel! The three-page piece is called "Reading List: Select 2018 Books with LGBTQ themes," and it was compiled by Carolyn Juris and Emma Kantor. Lee Wind. Oct. Ages 14-up. Wind, who blogs at I'm Here. I'm Queer. What the Hell Do I Read?, raised $15,000 on Kickstarter to publish his debut novel, about a gay teen in a conservative town who discovers a historical secret: Abraham Lincoln was in love with another man. 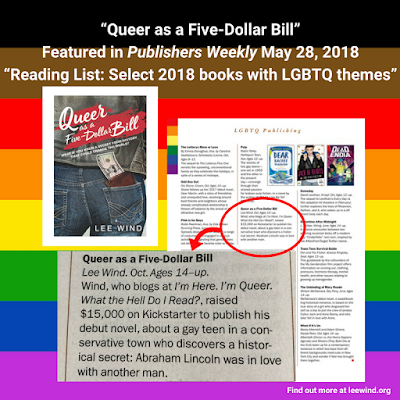 And you, and the over 68,000 booksellers, publishers, public and academic librarians, wholesalers, distributors, educators, agents and writers who read each issue of PW, will find Queer as a Five-Dollar Bill right there on page 38, between Pulp by Robin Talley and Someday by David Levithan. My book certainly has some nice company! 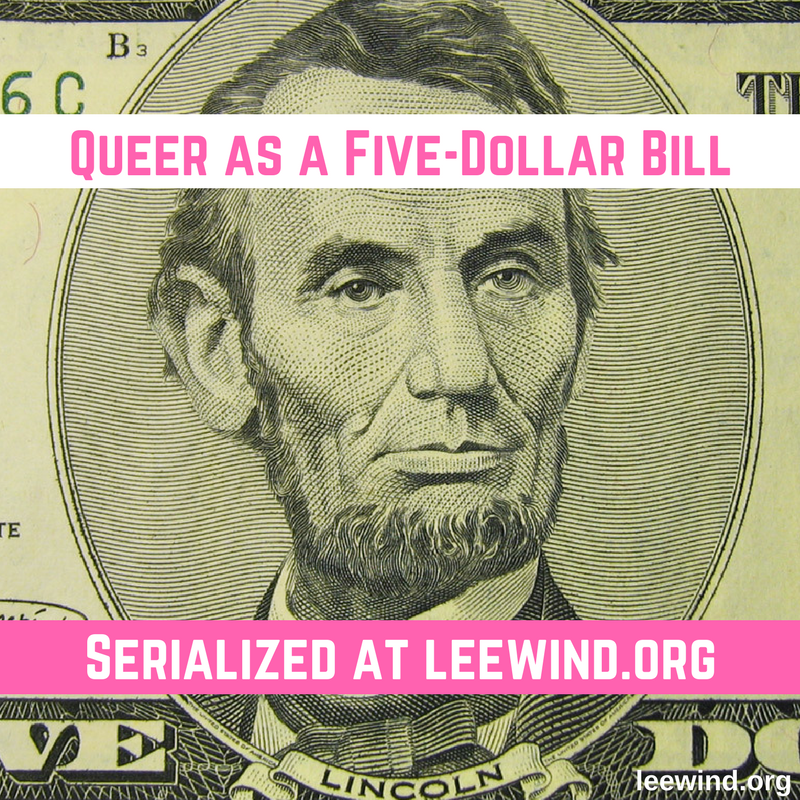 Find out more about Queer as a Five-Dollar Bill here. AWESOME! Congrats, Lee! This is wonderful!